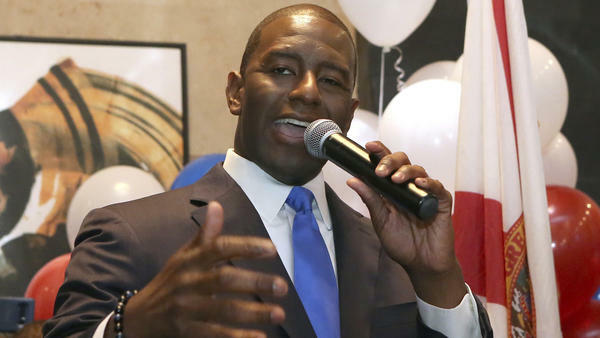 Andrew Gillum would become Florida's first African American governor if elected in November. Gillum, who defeated former Rep. Gwen Graham and several other candidates, would be Florida's first black governor if elected in November. "I actually believe that Florida and its rich diversity are going to be looking for a governor who's going to bring us together, not divide us. Not misogynist, not racist, not bigots," Gillum said on CNN on Wednesday morning.  "They're going to be looking for a governor who is going to appeal to our higher aspirations as a state," he said, "who's going to talk about what it means to build a Florida that makes room for all of us and not just some of us." Democrats have not won the Florida governor's mansion since 1994. Republican Rep. Ron DeSantis, who won the GOP primary with President Trump's endorsement, was accused of racism over a comment he made Wednesday morning on Fox News after Gillum's morning appearance. DeSantis said, "The last thing we need to do is to monkey this up by trying to embrace a socialist agenda with huge tax increases and bankrupting the state." The chairwoman of the Florida Democratic Party, Terrie Rizzo, tweeted that it's "disgusting that Ron DeSantis is launching his general election campaign with racist dog whistles." "Ron DeSantis was obviously talking about Florida not making the wrong decision to embrace the socialist policies that Andrew Gillum espouses. To characterize it as anything else is absurd." A Fox anchor later said of DeSantis remarks, "we do not condone this language." Gillum ran to the left of his Democratic opponents in the primary, calling for Medicare for all, a $15-an-hour minimum wage and the abolishment of the Immigration and Customs Enforcement agency. Gillum was backed by independent Sen. Bernie Sanders and had financial support from billionaire philanthropists George Soros and Tom Steyer. Steyer has called for Trump's impeachment, and Gillum agrees. Asked whether he thinks Democrats should try to impeach the president if they retake the House, Gillum responded, "I absolutely do." Trump quickly attacked Gillum Wednesday morning on Twitter, calling him "a failed Socialist mayor" and the "biggest dream" opponent for DeSantis. The president also charged that Gillum has allowed "crime & many other problems to flourish in his city," adding, "This is not what Florida wants or needs!" Tallahassee has seen a spike in homicides, but its overall crime rate has declined, although it remains the highest in the state. And city hall itself has been under investigation by the FBI for corruption, although Gillum has said he is not a target of the investigation. Gillum is the son of a bus driver and has three young children. He is the second African-American candidate for governor in the region this year, joining fellow Democrat Stacey Abrams in neighboring Georgia.